Take it from a small, independent media publisher in the year 2019. The digital world is ever-changing. You either evolve or you die. What I do on a daily basis is a mere fraction of what is going on behind the scenes when it comes to live sports broadcasting. The Cyclone Nation caught a glimpse of this on Wednesday when the Big 12 announced an expansion of its already existing partnership with ESPN. 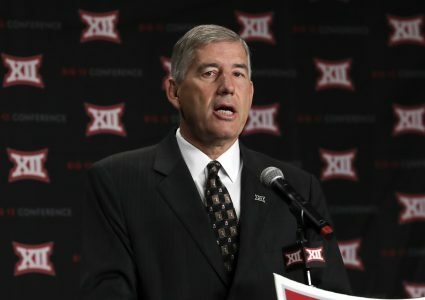 — The world-wide-leader will now exclusively televise the Big 12 Football Championship through the year 2024 (the game had had previously rotated every other year with FOX). — The most important news for Iowa State fans though is that starting in 2020, ESPN will own the league’s third-tier rights. In the past, the schools have been free to do what they wanted in this capacity, hence the birth of Cyclones.tv in 2012. 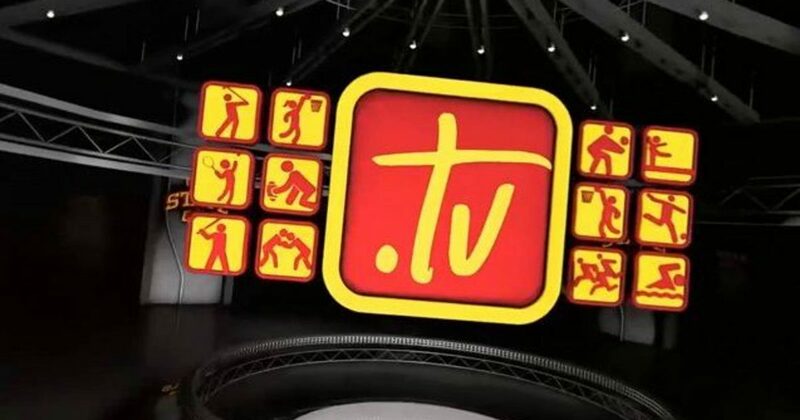 Example of what this means for you: An Iowa State wrestling dual that you previously viewed on Cyclones.tv will be seen on ESPN’s new streaming platform, ESPN+, beginning in 2020. “As part of the agreement, all ESPN+ events will be produced and presented under a Big12-branded offering to be developed by the conference and ESPN,” ESPN’s press release read. What does this mean for Cyclones.tv? That’s a somewhat complicated question to answer at this point in time because the future is relatively unknown. However, according to sources close to the situation, Iowa State is hopeful that it can keep Cyclones.tv around to air press conferences, coaches shows, features and game replays – much like it already does. The only big difference would be that the live broadcasts are on ESPN+. So when you log on to watch a men’s basketball non-conference game that wasn’t picked up by an ESPN channel, you’ll watch it on ESPN+ instead of Cyclones.tv. I’m told that it is overwhelmingly likely that the “talent” broadcasting these games would remain the same – meaning that you would still get the John Walters and Eric Heft Cyclone Radio Network feed over the air. It will be the same broadcast, perhaps with some different imaging, on the ESPN+ platform. — According to the release, eight of the conference’s 10 schools will participate in the new deal. Wait a minute … why no Texas and Oklahoma? It all has to do with contracts. Texas is currently paid $15 million a year for its Longhorn Network, a 20-year contract that was signed in 2011. Oklahoma is already under contract with FOX through June of 2022, a deal that pays the Sooners around $7 million a year before expenses. The release pointed out that road games featuring both schools will be a part of the ESPN+ deal. For what it’s worth, Iowa State, TCU, West Virginia and Texas Tech will not join the ESPN+ deal until 2020-21 due to already existing contracts. Kansas, Kansas State, Baylor and Oklahoma State will begin airing games on ESPN+ in the fall of 2019. Keep an eye out later today for news regarding Disney (who owns ESPN) and its plans for a new streaming service that is aiming to be a major competitor to Netflix in the near future. This is high dollar, high tech stuff we’re talking about here. The amount of time, money and man-power that goes into putting on a professional, live sports broadcast is immense. In this sense, it’s good to have the big boys in your corner. With Disney and ESPN behind the technological aspect of the broadcast, fans will only benefit when it comes to viewer experience while watching the Cyclones. Plus, whatever is normal right now will change in six months. ESPN is going all-in on streaming and this ESPN+ venture absolutely has to work. The world-wide-leader will do everything in its power to make sure that it does. Chris was hired as Cyclone Fanatic’s publisher in the fall of 2009. 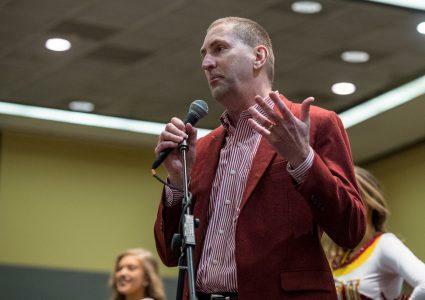 He is Iowa State football's postgame show host on the Cyclone Radio Network and can be heard daily from 4-7 on Des Moines' top-rated sports station, 1460 KXnO. Williams, a 2007 graduate of Iowa State’s Greenlee School of Journalism, is the former publisher of the old CycloneNation.com (Scout.com). He has also written for the Des Moines Register, the Ames Tribune, CycloneReport.com and is the former sports director at KMA Radio. When Williams isn’t working, you can usually find him doing something outdoors with his wife Ashley, daughter Camryn, and Golden Retriever Dierks. He enjoys golfing, boating, country music, the Minnesota Vikings, Atlanta Braves and is passionate about any and all motor sports so finding Williams at a local dirt track is very common. 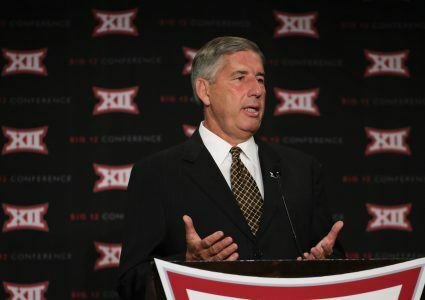 BLUM: Big 12, The Conference of the Future?